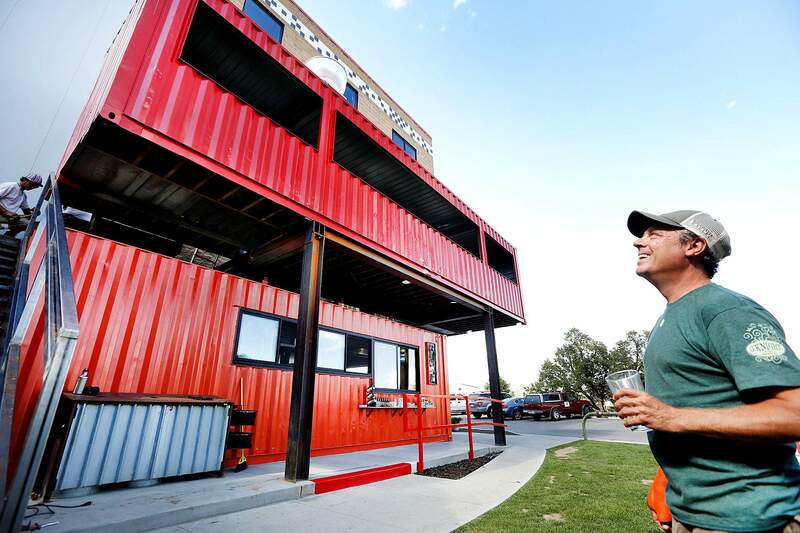 Dave Thibodeau, Ska Brewing’s president, looks at the newest addition at the brewery, The Container, a restaurant with kitchen and patio constructed from shipping containers attached to the south side of the building. 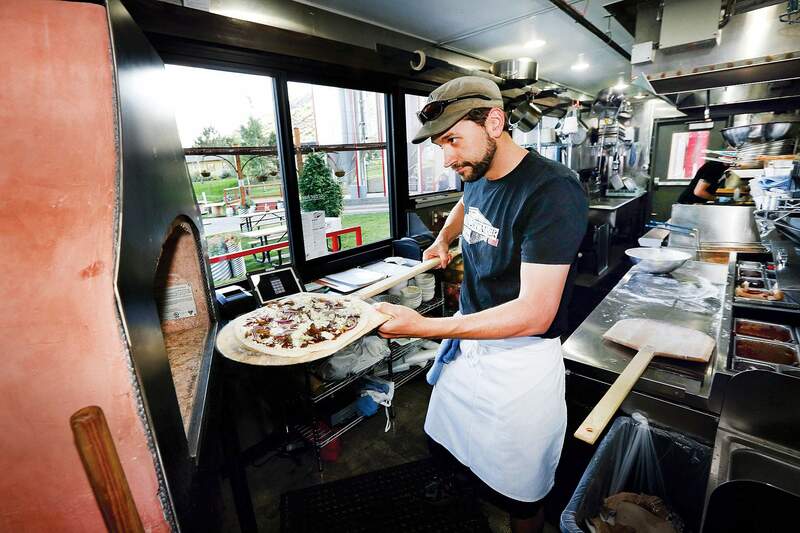 Pizza, sandwiches and salads are the mainstays on chef Jeremy Storm’s menu at The Container. Storm, whom Ska has given free rein to run the restaurant, plans to change the menu in the fall and winter. “People expected there to be food out here, and we felt it was more responsible to have food if you’re drinking beer,” said Ska Brewing President Dave Thibodeau about the brewery’s new restaurant. 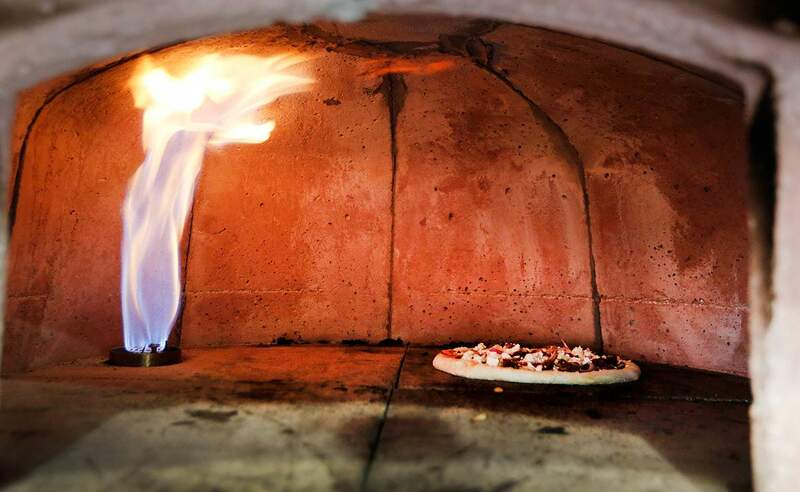 Pizza cooks in the gas-fired brick oven at The Container. 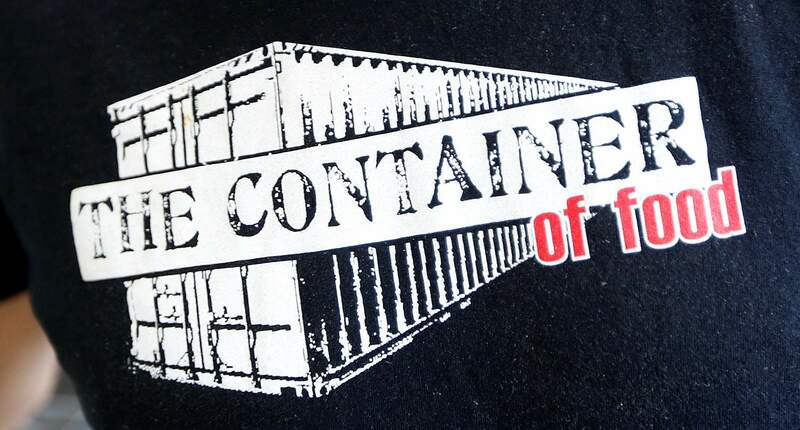 The logo for The Container, an eatery run by chef Jeremy Storm at Ska Brewing Co. The menu is inspired by ska music’s geographical heritage. 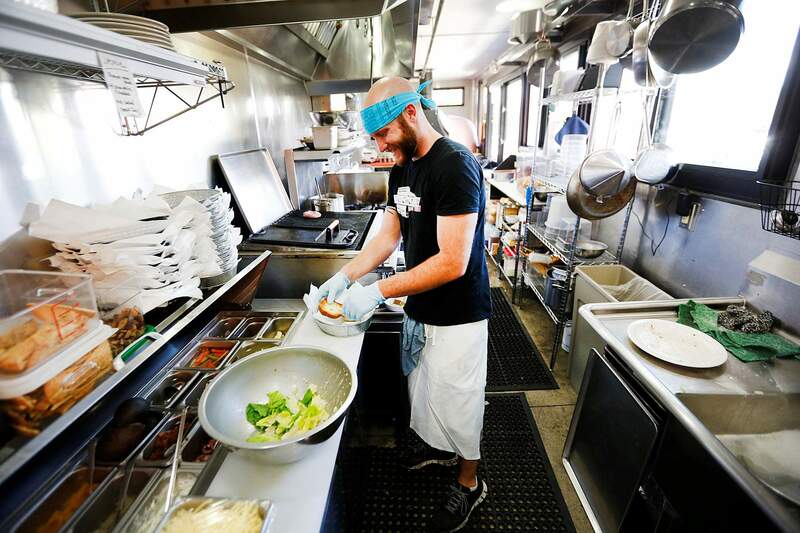 Dan Knapp, line cook at The Container, cooks a burger inside the refurbished shipping container at Ska Brewing Co.
Ska Brewing Co. spent 18 years scrupulously avoiding getting into the restaurant business. 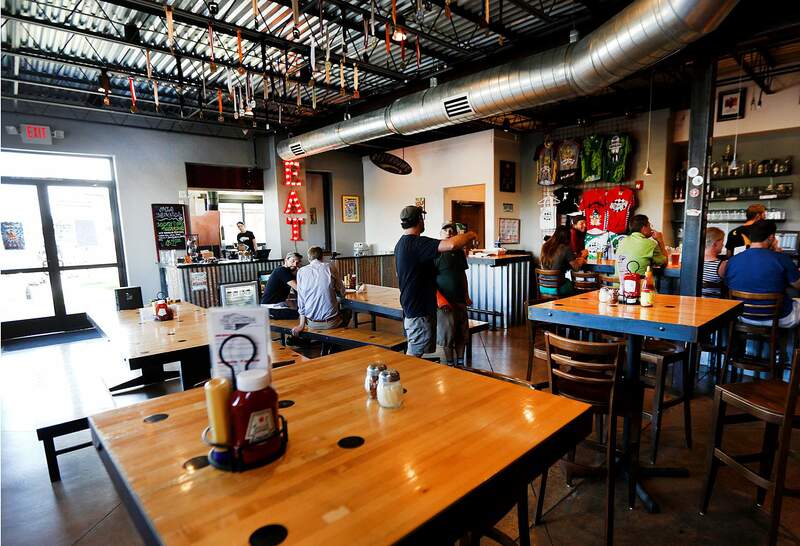 Now, Durango’s largest brewery is in the restaurant business. Ska has hired chef Jeremy Storm and given him free rein to run the restaurant, which has nine employees. Storm’s menu highlights pizza, sandwiches and salads. Many use local ingredients, including beef from local cows that are fed Ska’s spent grain. Menu items nod to ska music’s geographic ties. Storm plans to change the menu for fall and winter. The Container is the most expansive food option Ska – a production brewery focused on distribution – has offered to date. Zia Taqueria served out of a trailer parked at Ska beginning in 2008, but the Zia operation closed in winter. The Container will remain open year-round. Tim Turner, owner of Zia Taqueria, opened a second restaurant nearby at 400 South Camino del Rio. The Container represents a change for Ska, which had resisted opening a restaurant for nearly two decades. That partly stemmed from sensitivity to Ska’s relationships with Durango restaurants that carry its beer, and partly to an admitted lack of expertise in the food industry. “What we know is beer,” Thibodeau said. Ska’s move to open the restaurant was underpinned by continued growth. The brewery produced 26,700 barrels of beer in 2012, up from 21,500 in 2011. Ska is projected to brew about 31,000 barrels this year, Thibodeau said. Ska has seen strong growth within Colorado, as well as in Chicago and, most recently, Sweden. Thibodeau said new developments in south Durango, including Mercury’s under-construction Mercury Village and a Homewood Suites by Hilton hotel in Bodo Industrial Park, gave Ska confidence the restaurant would attract enough traffic. The idea to build a restaurant from a 40-foot shipping container follows an emerging trend of converting shipping containers into restaurants, homes and even Starbucks cafes. Vincent, who helped design Ska’s brewery, had long wanted to cut up a shipping container into something cool. Ska purchased the containers in early spring from Zircon Container Co. and went to work. The Container was sure to be busy Saturday for Ska’s 18th anniversary party. About 1,000 people were expected to attend, including ticket-holders and brewers. “The timing was perfect for everything,” Thibodeau said.